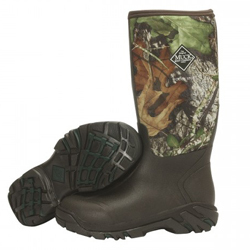 Bob's Feed and Fertilizer your one stop for farm apparel including Muck Boots and more! At Bob's Feed and Fertilize we carry more than just feed and fertilizer. We are your one stop for boots, gloves, camo, and more! If you have any questions please call: (931) 484- 2937. The Arctic Weekend was built on a last designed especially for women, providing ultimate fit and comfort. This casual, all-purpose, lightweight, and flexible winter boot has a stretch-fit topline binding that keeps snug to the calf to keep warmth in and cold out. 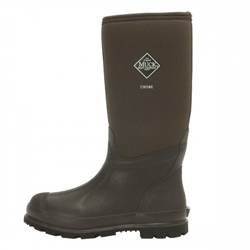 This boot comes with a 4mm CR flex-foam bootie with four-way stretch nylon, is fleece lined, and is 100% waterproof. Additional features of the Arctic Weekend include a new lightweight EVA midsole and a new multi-purpose rubber outsole for optimal traction and stability in wet and icy conditions. Call for sizes. 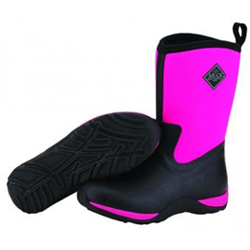 Rain and snow won't slow down kids when they wear these rugged Muck Kids' Hale Boots. Stretch-fit topline bindings cinch to calves to keep warmth in and cold out. PK mesh linings and 4mm SBR flex-foam booties with four-way-stretch nylon promote lightweight flexibility. Durable, natural rubber shell delivers waterproof, wet-weather performance. Additional Achilles reinforcement for added protection and high-wear durability. Diamond tread self-cleaning outsoles wrap the entire perimeter for maximum protection and stability. Added toe protection with wrap-up bumpers. Comfort ranges from sub-freezing to 85°F. Available in a variety of colors. Call for size and colors. WOODY SPORT with the NEW XPRESS COOL lining material keeps your feet cool in warm weather. The 4mm CR flex-foam bootie has four-way stretch nylon and is 100% waterproof, light weight and flexible.The etc® sockline is made to reduce friction and heat build up. Available in New Mossy Oak Obsession camo coverage. Comfort range from sub-freezing to 95F degrees. Call for sizes..
CHORE 16" HIGH-CUT with the NEW XPRESS COOL lining material keeps your feet cool in warm weather. Spandura® has been added to the exterior of the Neoprene portion of the boot for added protection against wear and abrasion. 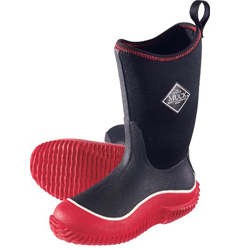 The 4mm CR flex-foam bootie has four-way stretch nylon and is 100% waterproof, light weight and flexible. Comfort range from sub-freezing to 95F degrees. Call for sizes.